The project aims to promote the culture of non-violence in Palestinian society as a means of resolving internal disputes and conflicts. The project includes many cultural and awareness activities that highlight the importance of a culture of tolerance, dialogue and non-violence in the face of social issues. The project involves benefiting from the experiences of other peoples in India, South Africa and Ireland in particular. 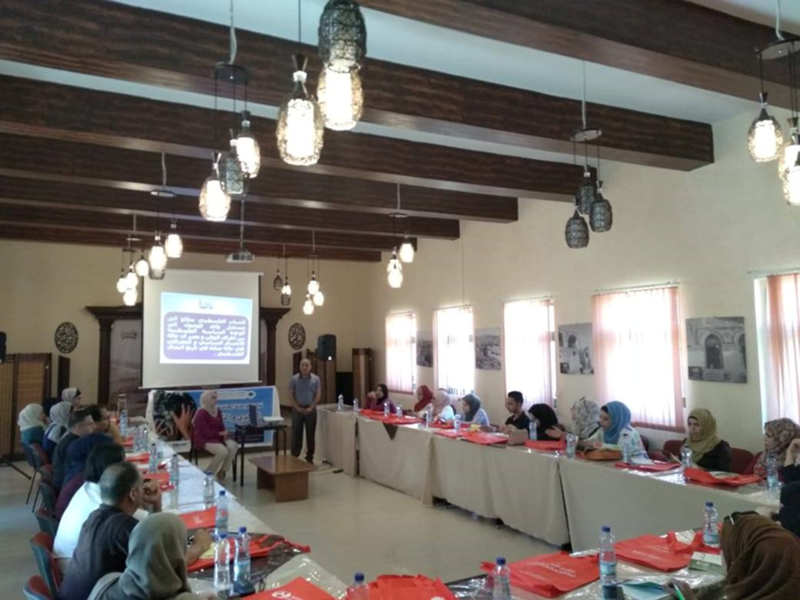 The importance of this project comes in light of the spread of phenomena and concepts of extremism and violence, especially in the governorates of the Gaza Strip. This project aims to present and explain the concepts and foundations of a culture of peace and dialogue in solving differences as an alternative to violence and fighting. Our mission is to inspire, motivate and engage young people to understand how to resolve conflicts peacefully. We have trained and trained 25 trainers in the field of nonviolence. The task of these trainers is to spread what they have learned through the implementation of workshops and initiatives within the community.